Virtual machines let you run one computer inside another, or at least one operating system inside another. You get the benefit of two OSes without the hassle of dual-booting or the standard setup process. It’s also easier than you might think to get started. 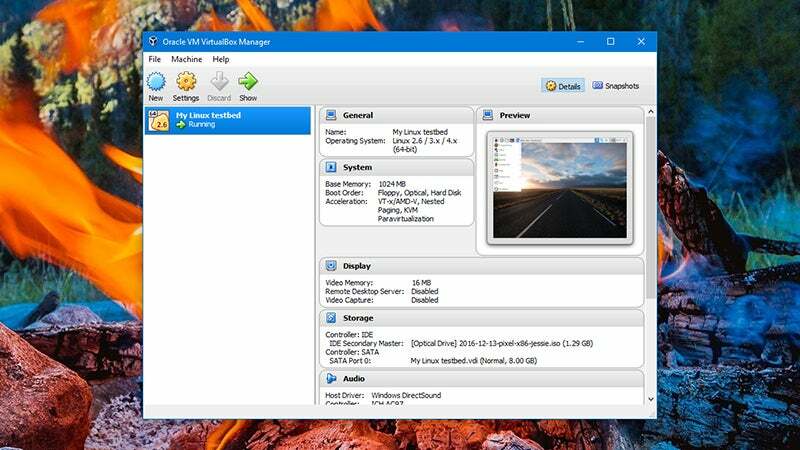 Here’s how to set up your first virtual machine. 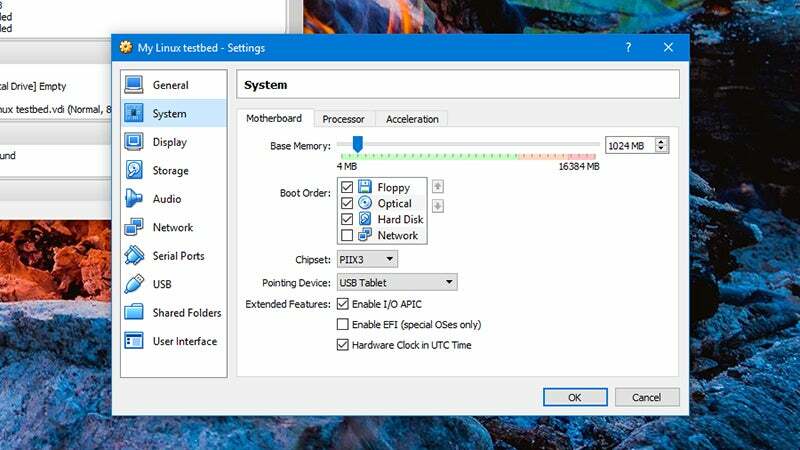 The necessary software nous required to run virtual machines isn’t built into either the home version of Windows or macOS, but you can find plenty of programs willing to fill the hole. The best free option for Microsoft and Apple computers, and the one we’ll use here, is the open source VirtualBox. 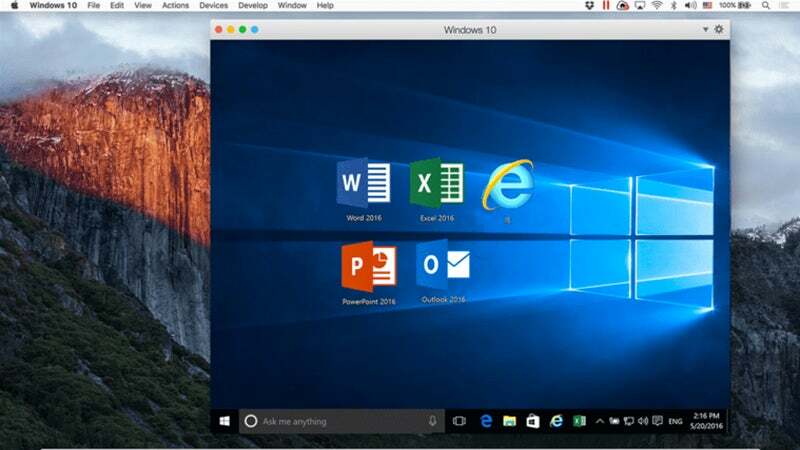 If you’re willing to part with a few pennies in return for something more powerful, Parallels is a solid choice for macOS, while VMware Workstation Player is a feature-rich alternative for those of you on Windows or Linux (and it’s free to use as well for non-commercial, personal and home use). Virtual machines run an entire OS as an application, which means you’re splitting your system resources—memory, CPU time, hard drive space, and etc.—between two operating systems. Most intensive computing jobs, like video editing or gaming, are off limits unless you have a beast of a machine set up. What you lose in performance you gain in convenience, because you can switch between the two operating systems with a click of your mouse. Moving files between OSes is also straightforward as well, and you don’t usually have to bother with syncing services or USB sticks to get files from one place to another. While your virtual OS will act as if it’s installed as normal, albeit a little slower, everything is lost as soon as you close down the application, just like any other program on your system. VirtualBox gets around this by supporting snapshots, where virtual files and settings are preserved and can be called back whenever needed. Virtual machines aren’t really suitable for long-term, permanent use though—they’re better as temporary playgrounds where you can run particular applications as and when needed. You can, for example, use them to check out a new Linux distribution without having to actually install it on your system. And that brings us to another point about virtual machines: if you want to run Windows, say, in a virtual machine, then you need to pay for another copy of it. You’re essentially running Windows on another computer and it needs to be licensed as such, and getting macOS running in a virtual machine isn’t easy at all, because Apple likes to keep its OS strictly on Mac hardware. Once you’ve mastered the simple process of setting up a virtual machine, you can do all kinds of fun stuff with it. Keep access to old programs on an outdated version of Windows, browse the web without leaving a trace, test new software without affecting your main system, and plenty more besides. 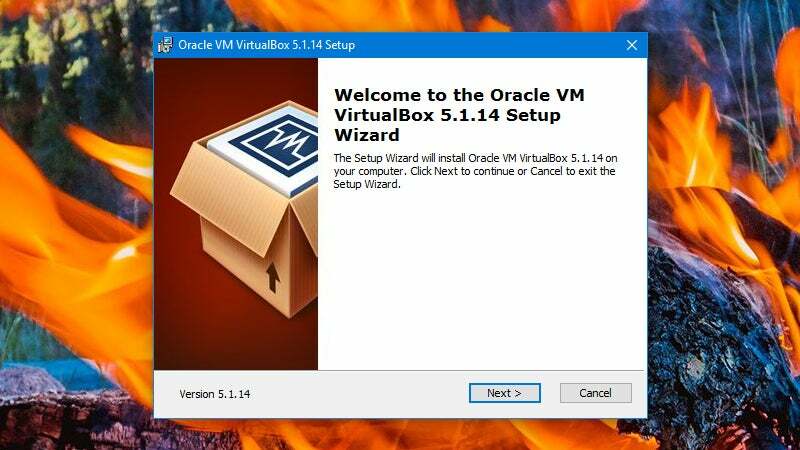 Getting VirtualBox up and running isn’t particularly tricky, but we’ll guide you through the process here and flag up a few important points along the way. We’re concentrating on the Windows version but the Mac edition works in a very similar way. Once you’ve downloaded and launched the setup file, then got VirtualBox up and running properly, you’ll notice you don’t have any virtual machines at the moment. Remedy this by clicking New and following the instructions on screen—you’ll need to specify the type of OS you want to install so VirtualBox can configure it correctly. Next, choose how much memory you want to give over to this new virtual machine. 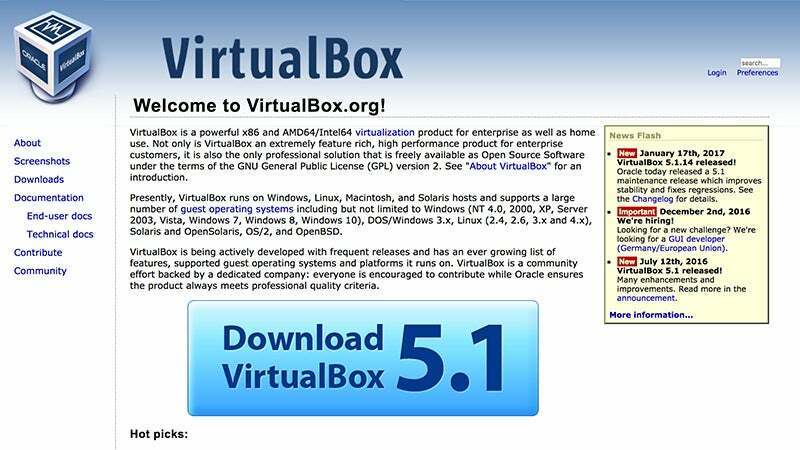 VirtualBox will give you a recommendation, but it depends on what you’re planning to do with your new virtual OS, and what you want to be able to carry on doing with your existing one. After that, specify the size of the virtual hard disk, and whether you want it to be a fixed size or one that grows as more data is added to it. That’s it—your new virtual machine appears in VirtualBox. You can edit any of the settings you’ve just configured, plus plenty more covering shared folders, audio options and so on, via the Settings button. To launch the virtual machine you’ve just created, select it from the list and click Start. Your virtual machine is just blank at this point, so you need to select a start-up disk as you would on a real computer. You can choose an actual physical disc or boot device, or browse from an ISO on your system, and VirtualBox will then “boot” the virtual system from it. If you need something to play around with, try the Pixel OS from Raspberry Pi. The menus around the virtual machine let you configure input and output devices, change the way the virtual machine is displayed, restart and switch off the machine, save the current state, and access everything else you need to. 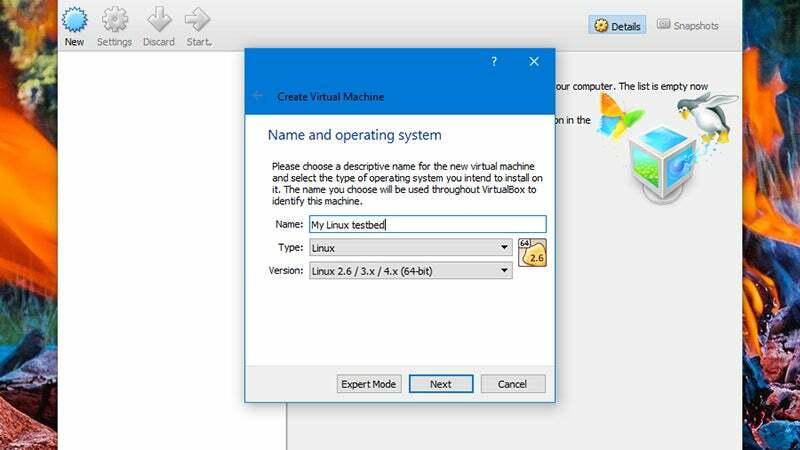 Congratulations, you’ve created your first virtual machine—and there’s plenty more guidance available from the VirtualBox online manual.